In September of 2010, Kathleen began her career as the Director of Marketing at Xybix. Kathleen has known the owners of Xybix, the Carson family for many years. As an active member of the Winter Park Volunteer Ski Patrol (of which both Xybix Owners, Barry and Ken Carson are also members), when the Marketing position opened at Xybix, it was a match made in “powder heaven”. A Colorado native, Kathleen received her Bachelor’s Degree from the College of St Benedict/St John's University in St. Joseph, MN. While attending, she studied Graphic Design and Advertising. After moving back to Denver, in 2009, Kathleen received her MBA in Marketing from Regis University. 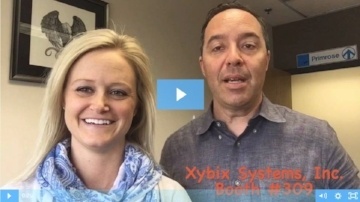 I love working for Xybix, to me, it’s like working for family. I love getting to meet our customers and talk about our furniture at tradeshows and events. I’m here to tell you that there are other options to housing your computers, probably more than you know. A reputable custom furniture manufacturer of 24/7 furniture will listen to your ideas, concerns and spatial constraints and help you come up with a communication center design solution to best fit your needs and the needs of your people. I must start off by saying that I am extremely proud to be a part of such an amazing community within the public safety industry. I was inspired to write this blog by those I feel who are making a difference within the 911 community. Specifically, those who are closest to me are my friends behind Operation 10-8, 911 Training Institute, Within the Trenches, and Kim Turner, LLC. 911 Comm Centers - See Xybix's New Eagle Consoles at Navigator 2018! Are you headed to Las Vegas for the International Academies of Emergency Dispatch IAED Navigator conference? This is THE PREMIER CONFERENCE FOR POLICE, FIRE, AND MEDICAL DISPATCH. This NAVIGATOR is set to be our best ever. This year they will have the latest and best presentation topics and presenters, events and networking opportunities, as well as keynote speakers that will knock your socks off! You won’t want to miss this truly memorable educational, networking conference. And best of all...Xybix Systems, Inc. will be there! At booth #309 and we are super excited to have our new Eagle dispatch consoles on display at our booth! I’m just going to say it, employee morale and company culture have a huge effect on the workplace. 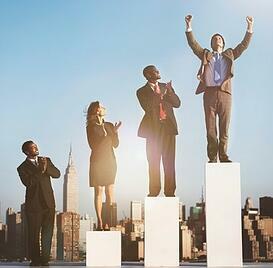 Absenteeism, lost productivity and poor health have all been directly attributed to morale in a workplace. So in a 24/7 industry like 911 dispatch, how can you improve morale and company culture, while adhering to policies and guidelines. While I can’t predict the future, I have seen a few trends develop in the dispatch console and furniture arena over the last 7+ years in the industry. I can’t tout that I know everything, but I have picked up on a few things just by listening and paying attention. Some of the best people I’ve ever worked with are those in the 911/Public Safety Industry. And while most of us are at home in our stretchy Thanksgiving pants enjoying the company of family and loved ones, someone needs to be someone on the other line of a 911 call in case of emergency. So, here is a shout out to all of you 911 Dispatchers & Turkey foregoer’s. I've put together a list of how you might be able to have a bit of a good ol’ Thanksgiving celebration even while you are at work.